The prints are 210mm x 270mm (h) and the original medium was Gouache on paper. Cost: $150 (unframed) $15 postage in Australia/overseas on request. Contact Merchandise Convenor Tina Price on ibbysales@gmail.com to purchase. IBBY Australia Inc is proud to announce that three Australian titles have been chosen by the IBBY Documentation Centre of Books for Disabled Young People in Norway for inclusion in the 2013 Outstanding Books for Young People with Disabilities List. These books will be on display at the IBBY stand at the Bologna Book Fair, Italy from the 25-28th March and included in the Presentation on the 2013 Outstanding Books for Young People with Disabilities Press Conference on the 25th March. The two Young Adult novels are The Invisible Hero by Elizabeth Fensham (UQP) and Whisper by Chrissie Keighery (Hardie Grant Egmont) and the picture book is Two Mates by Melanie Prewett, illustrated by Maggie Prewett (Magabala Press). 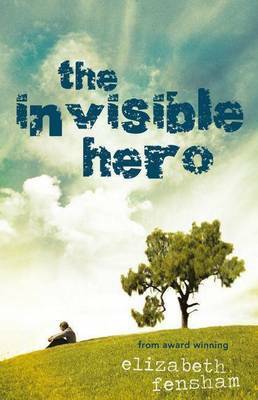 The Invisible Hero features Philip, a dyslexic, mildly deaf boy who has been raised by his grandmother and is treated as stupid by his classmates. Jack Mackinnon is the star of the school and uses bullying to maintain his power. When the class is set the task of researching heroes and villains, the social order starts to unravel. As Philip emerges from invisibility, he is revealed to have true courage. 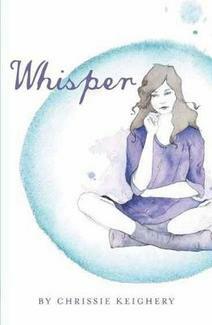 Whisp er is about a teenager, Demi who has lost her hearing through meningitis. She has transferred to a school for the hearing impaired. This book deals with many of the usual struggles of teenage life, but with some extra frustrations and challenges, especially of how to choose friends. The politics of deafness are interwoven into a very readable and engaging story. Of partic ular interest to West Australians, Two Mates is set in Broome and was written by the mother of an Indigenous boy Jack, and illustrated by his grandmother. Maggie Prewett is the author’s mother and Jack’s grandmother. She is descended from the Ngarluma people of the Pilbara region of Western Australia and her art is held in collections throughout Australia. 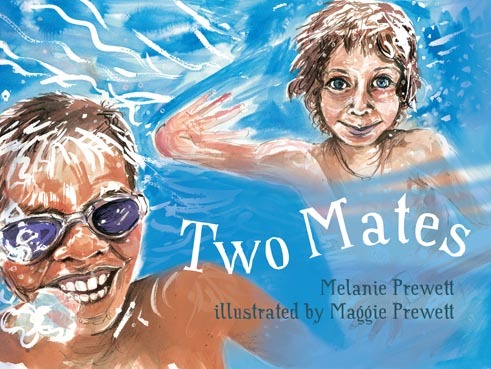 This is Melanie Prewett’s first book and she was inspired to write the book after watching the friendship of the two boys grow and develop since they were babies. Together they search for hermit crabs, fish for salmon, explore the markets, eat satays and dress up as superheros. Only at the end of the story is it revealed that Raf is in a wheelchair, as he has spina bifida. 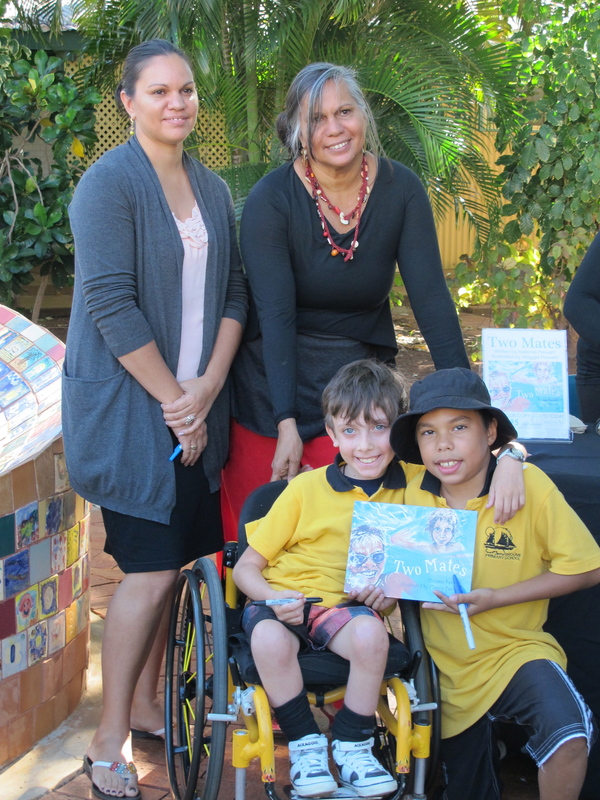 This picture of Jack and Raf together with Melanie and Maggie was taken at Broome Primary School where the book launch was held last year. Further information about Outstanding Books for Young People with Disabilities can be found on the IBBY website. Contact publishers for information about individual titles.